BENGALURU: The organisers of a play — Shiva, which focuses on identity, gender and sexuality — were forced to cancel it after members of right-wing outfits descended on the venue on Saturday morning and warned them of dire consequences if they went ahead with staging it. The play was scheduled to be staged at 3 pm at Jagriti theatre in Whitefield on Saturday. When contacted for help, the Whitefield police said they could not provide any help on Saturday, but promised to deploy three constables on Sunday to deal with the 25-strong group of protesters, according to the organisers. The theatre, a popular venue for plays, witnessed tense scenes when a group of men, claiming to be from a right-wing outfit, arrived there, created a ruckus and declared that they found the play offensive. When asked if any of them had seen the play, they said they hadn’t, but that they found the use of the name offensive. “They threatened to create trouble if we went ahead with the shows as scheduled,” Arundhati Raja of Jagriti said in a statement. “We had four shows of the play titled ‘Shiva’ scheduled at Jagriti. The play is directed by Dayasindhu Sakrepatna, and has had 15 shows in the past. 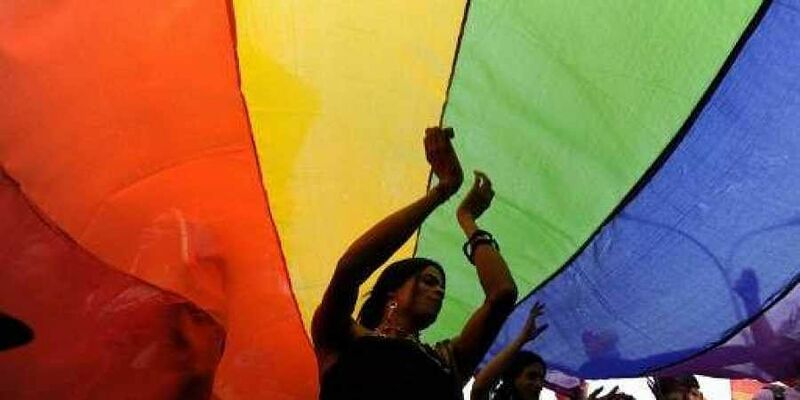 It is a story which deals with discrimination of the LGBTQI community, at a time when Section 377 of the IPC has been overturned,” she added. Disappointed with the way things turned out, the theatre group decided to cancel the show. It was obvious that they had no idea of what the play was all about, the director said. The constables from Whitefield police station dispersed them and asked the artiste team to come to the police station. “When we were at the station, 25 men from a different religious faction came near the theatre and started threatening the artistes of the play. We asked the police to give us protection, but they could give us only three constables against 25 strong men. If the organisation could mobilise 25 men just several hours before the show then imagine how many could come during the show,” Sakrepatna added. Artiste Lekha said, “I am very disappointed. I feel powerless. The entire team put in so much of effort... I am frustrated too but we will not give up. We will definitely come back and perform at the same venue.” Sakrepatna added, “As a creator, I feel powerless. Is it so simple? You come and strangle the voices that you don’t want to be heard? There is no reason, there is no logic, there is no dialogue, there is no discussion. My voice is powerless. I feel angry at the same time. We will definitely come back. I didn’t expect this to happen in our city and at a place like Jagriti.” He now intends to consult advocates and higher officials, and seek suggestions on getting the right permits and security issues, and to go ahead with the performance soon. Shiva is a full-length play depicting stories of everyday people and their experiences around gender, identity and sexuality while addressing themes of conviction, fear, choice and acceptance. It is a confluence of Bharatanatyam, Carnatic music and realistic storytelling. A senior director and artiste said, “Our tradition teaches tolerance, our philosophy preaches tolerance, our Constitution practises tolerance, let us not dilute it. Regrettably, over the years, tolerance has been replaced by the rising menace of intolerance which strikes at various fields of human endeavour and creativity: writings, music, drama, paintings and movies.” However, Whitefield police inspector said neither had such an incident happened nor have they received any complaint in this regard. He also refused to comment further on the issue.